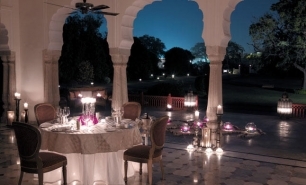 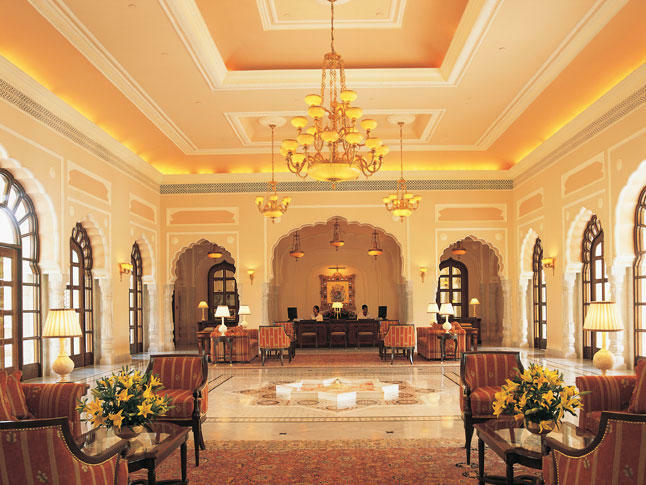 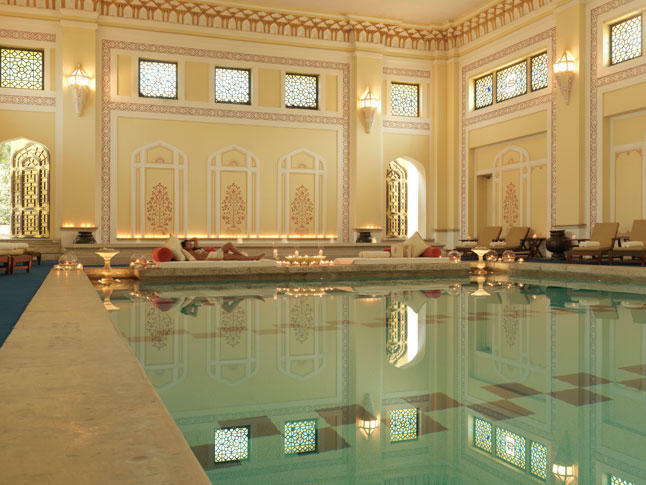 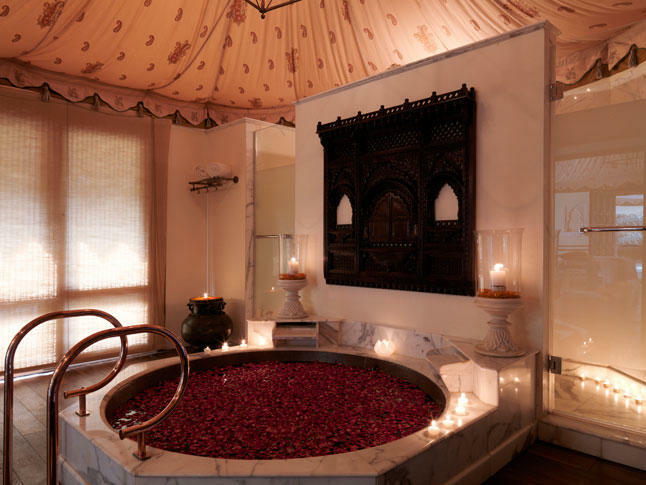 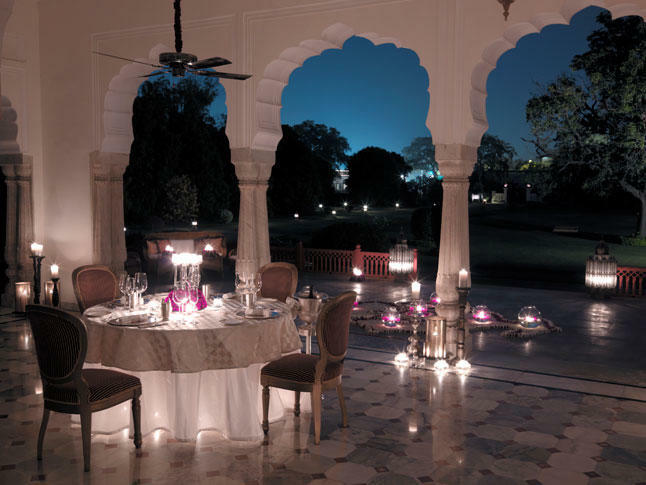 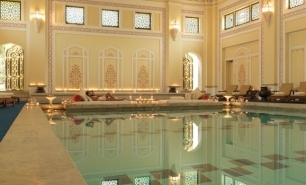 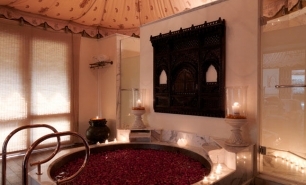 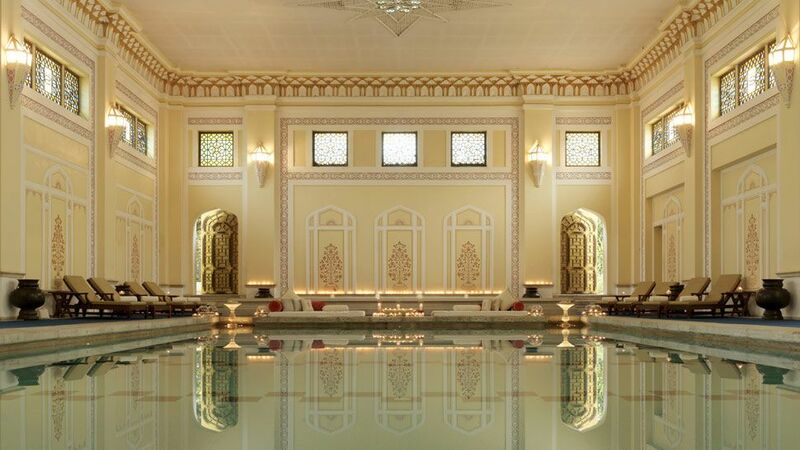 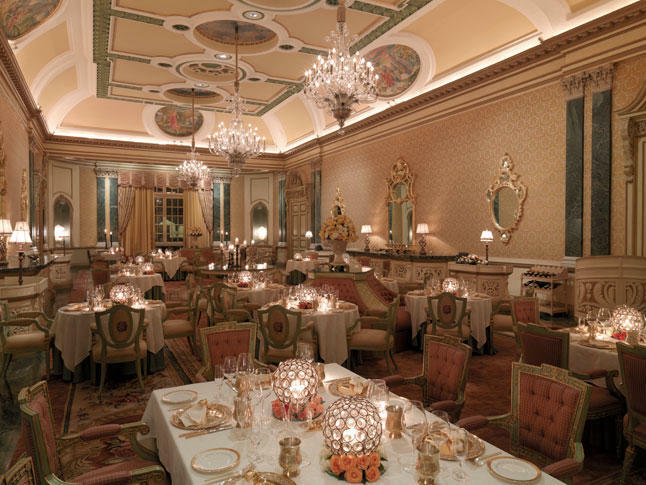 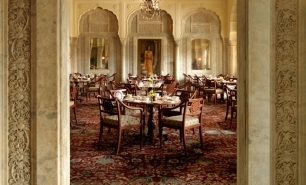 Taj’s Rambagh Palace is one of the best luxury city hotels in India. 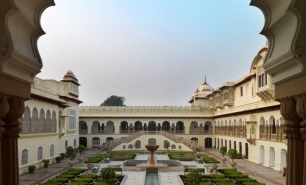 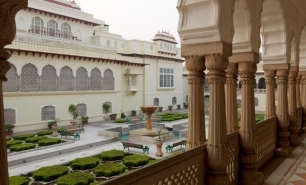 Built in 1835, the Rambagh Palace was once the residence of the Maharaja of Jaipur. 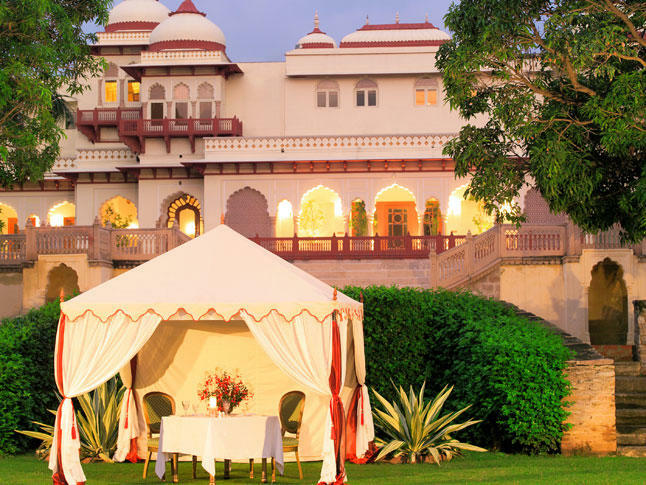 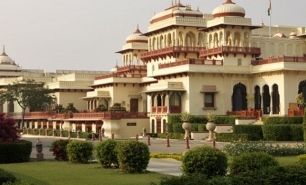 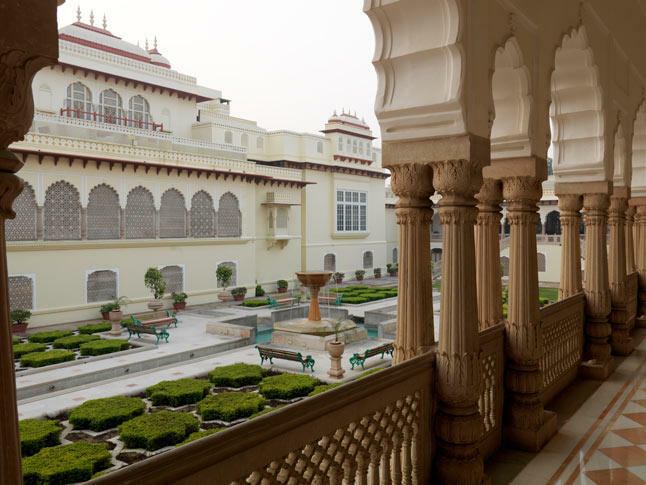 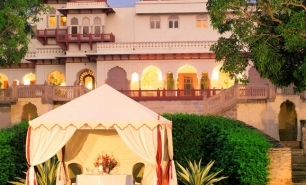 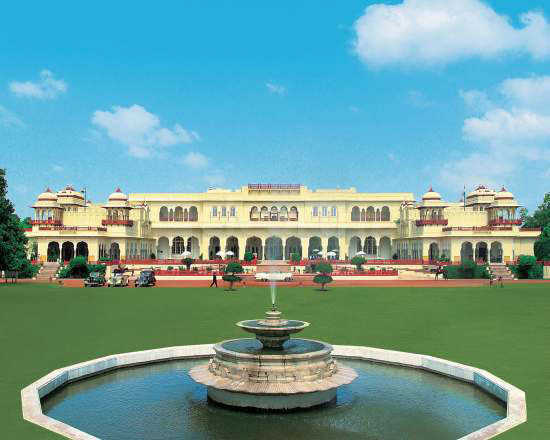 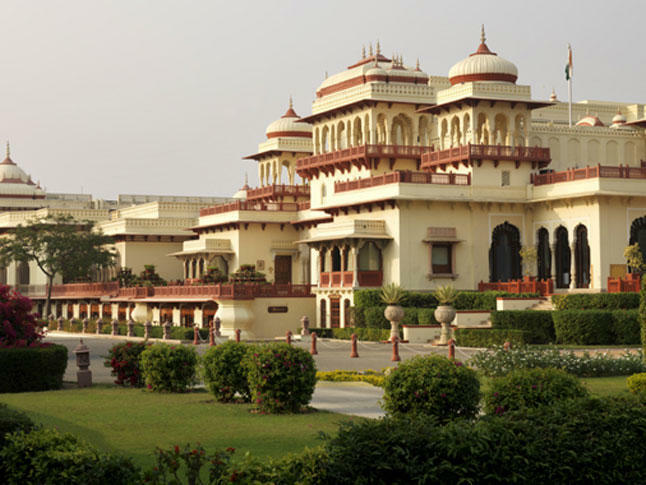 Rambagh Palace is located amongst 47 acres of landscaped gardens in the heart of Jaipur. 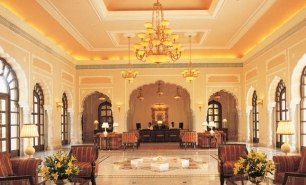 The hotel's architecture and design continues to provide a palatial experience to visitors today. 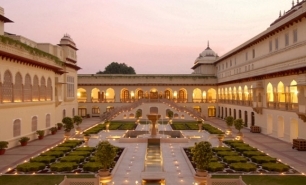 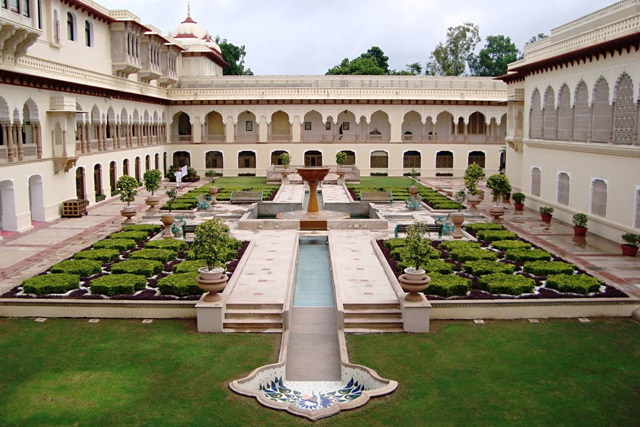 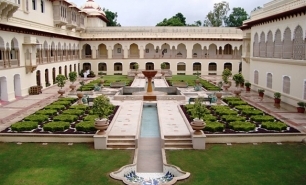 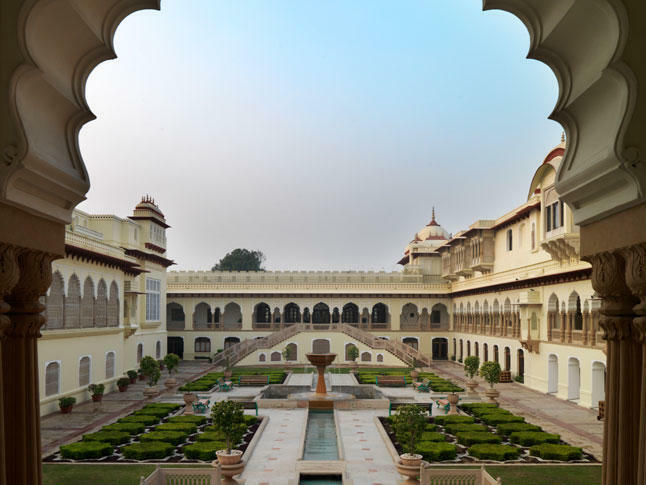 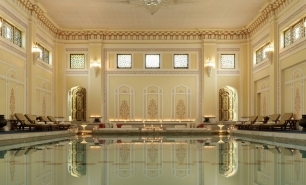 Rambagh Palace has 79 rooms and suites. 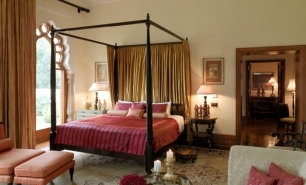 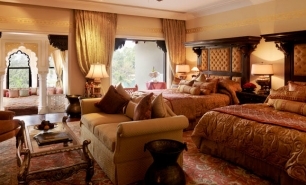 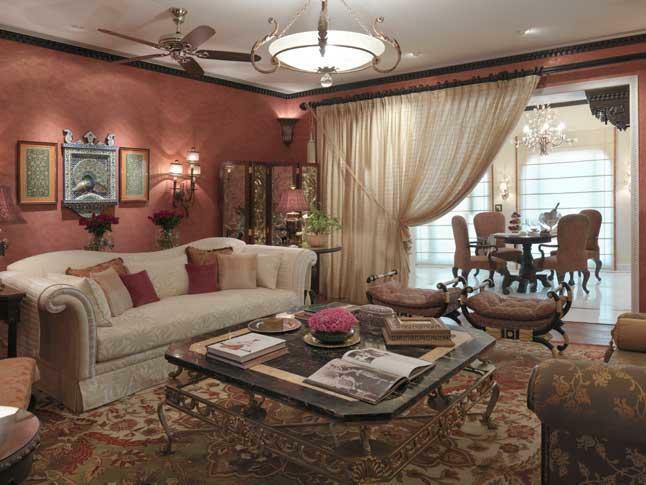 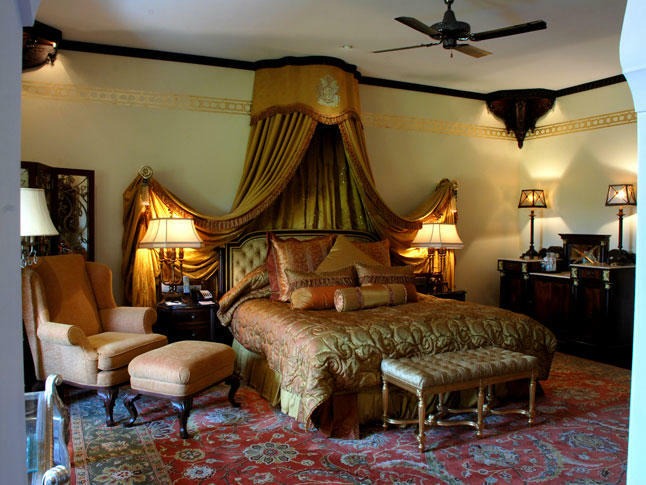 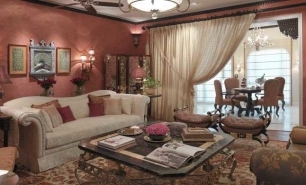 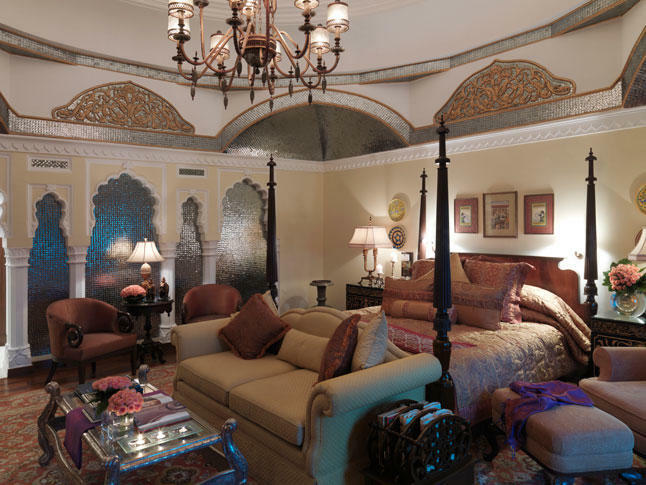 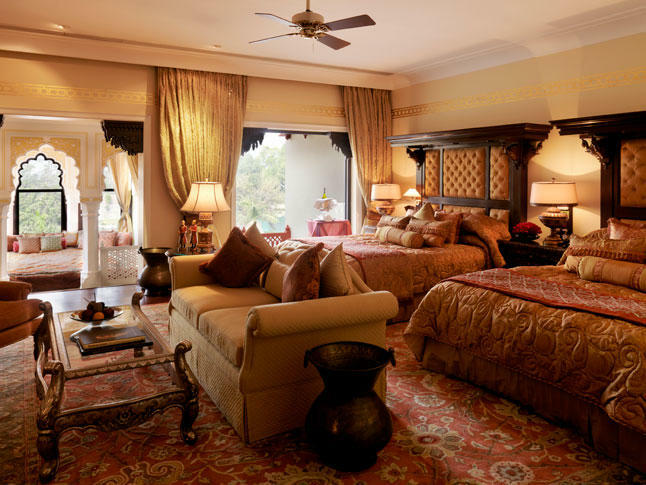 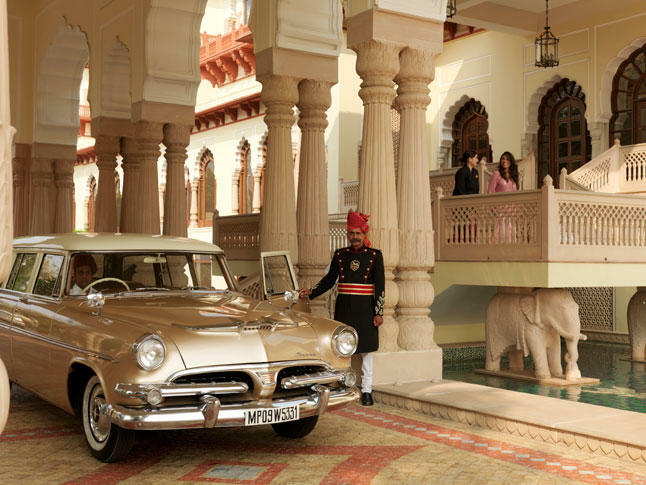 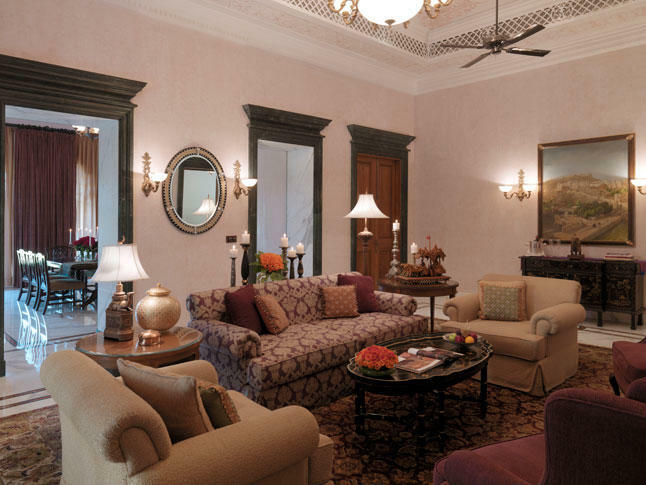 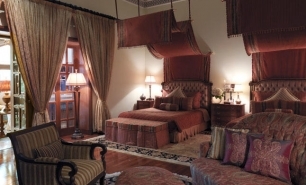 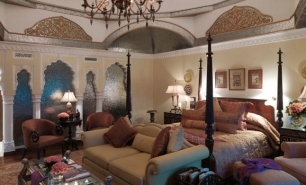 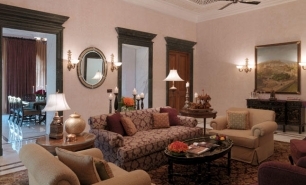 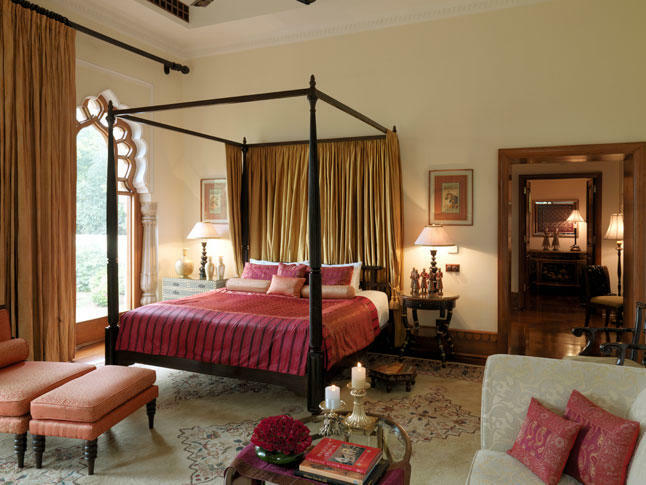 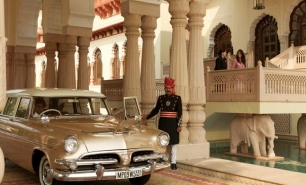 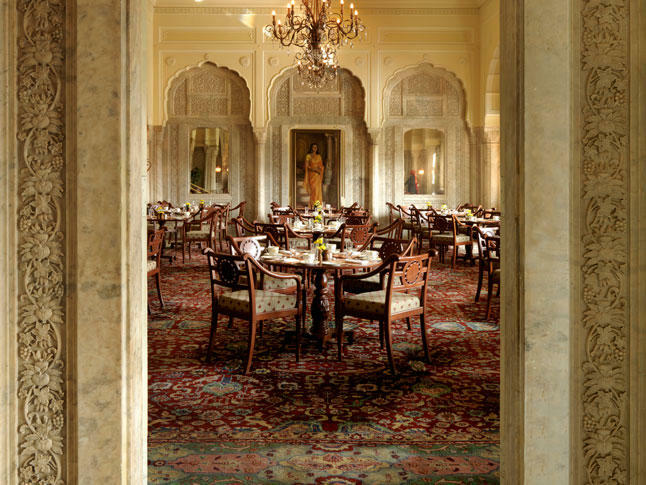 Suites feature high ceilings and exquisite chandeliers along with green Udaipur stone arches and period furniture. 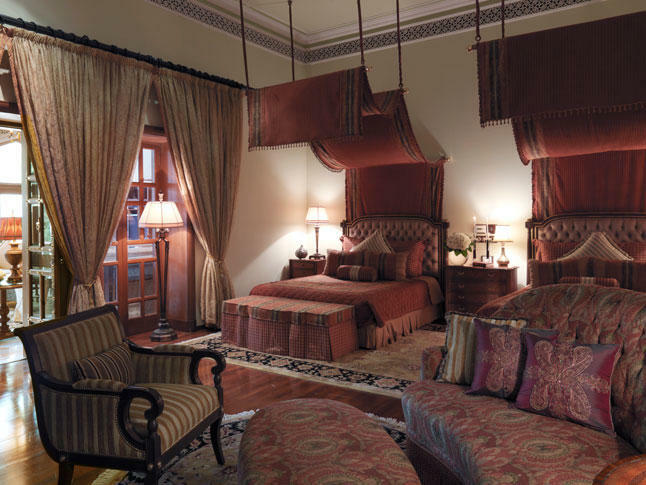 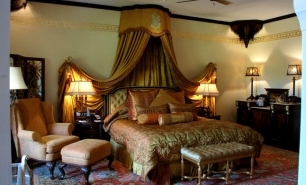 The Palace Rooms and Historical Suites are very spacious and interestingly furnished. 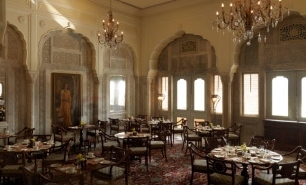 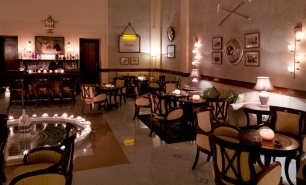 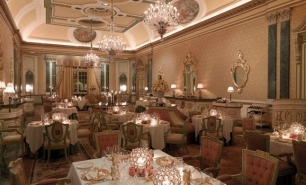 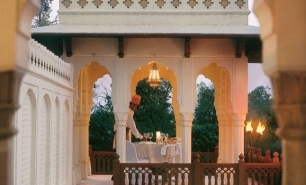 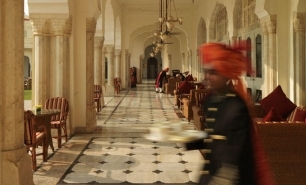 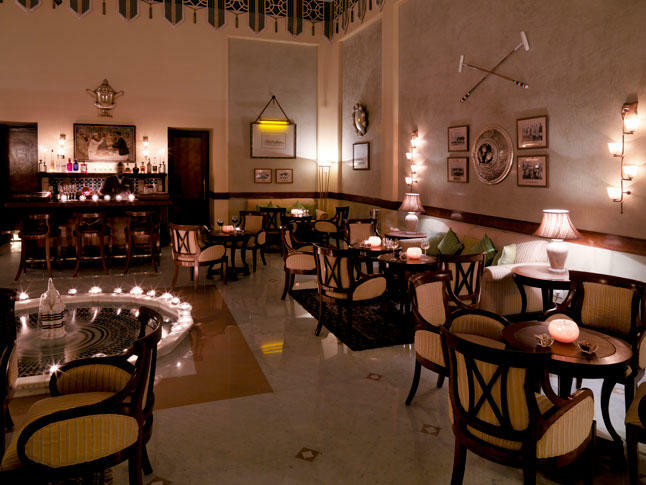 There are 4 great restaurants as well as the Polo Bar at the Taj. 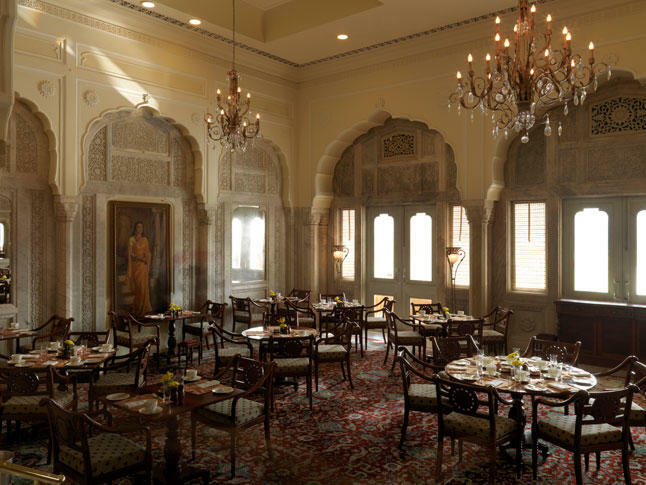 The Suvarna Mahal is the hotel's signature restaurant offering a truly royal dining experience with gold plated tableware, exquisite china and crystal, and high ceilings with chandeliers. 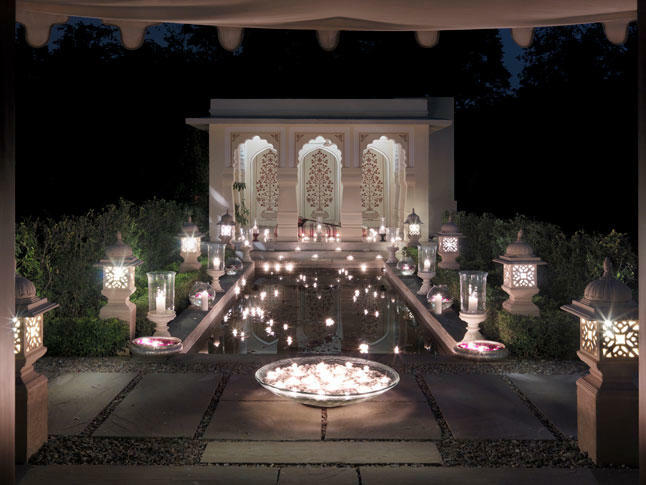 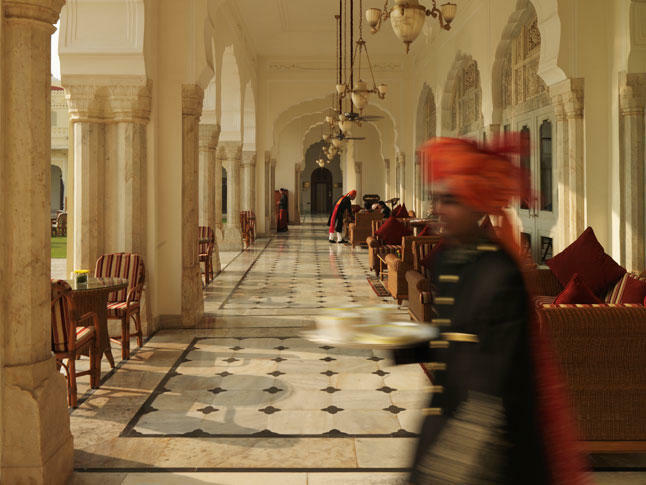 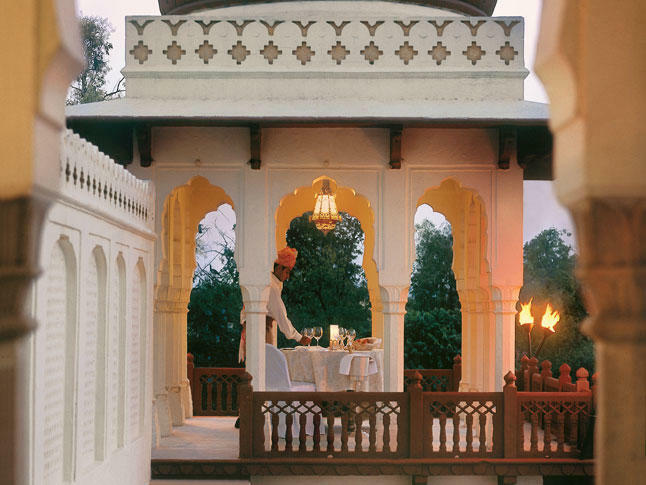 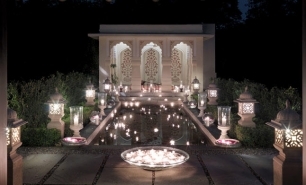 The Verandah offers al fresco dining, the Steam serves fusion and Continental cuisine, and the Rajput Room features contemporary international cuisine. 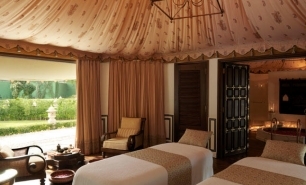 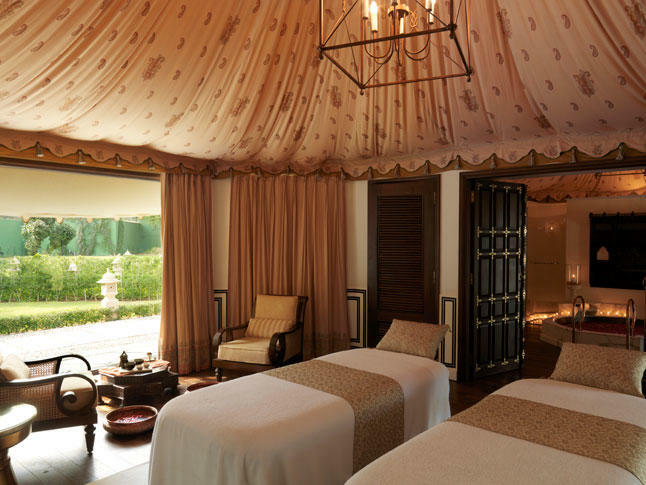 Jiva Grande Spa is housed in tasseled tents which have wooden floors and chandeliers. 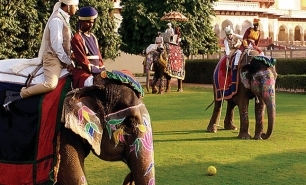 The hotel provides croquet, table tennis facilities, and mini golf. 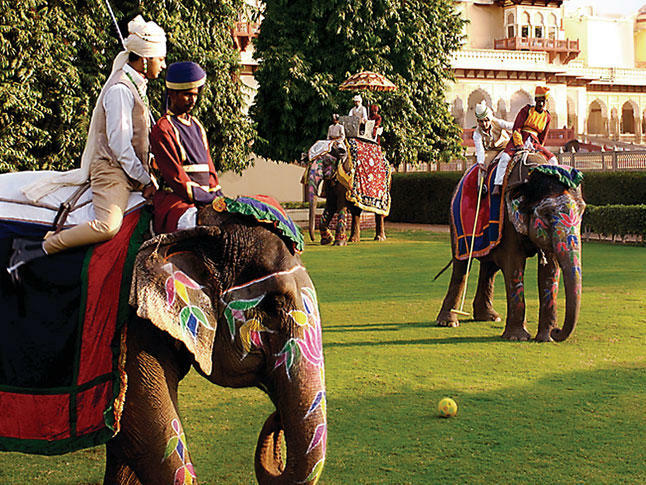 Polo matches can be played at the hotel's adjacent polo fields. 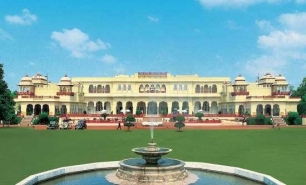 11km (30 minutes) by car from Jaipur Airport (JAI) which is 45 minutes' flight time from Delhi (DEL) ; 10 minutes drive from Jaipur center. 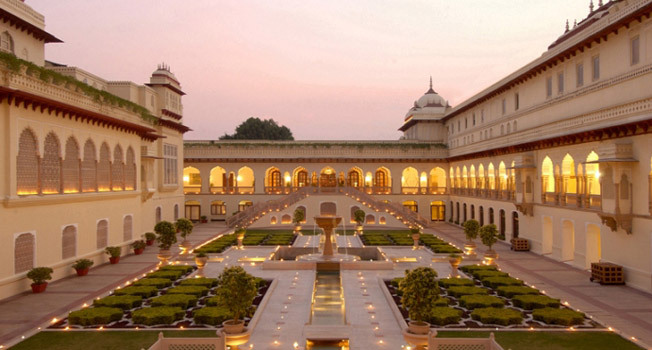 From October until the end of April is the best time to visit. 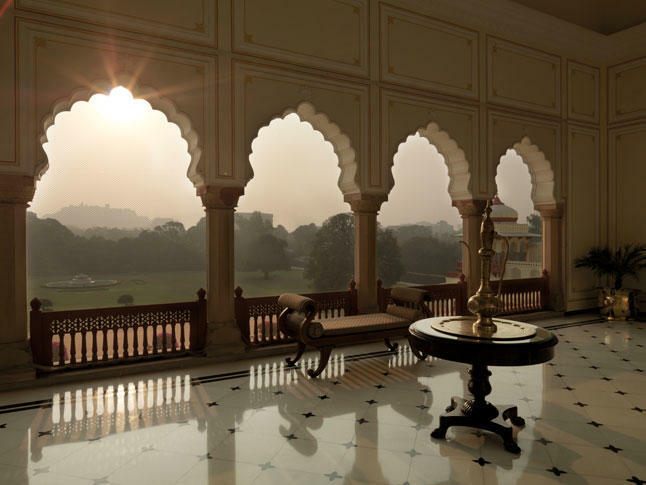 December and January can be cold at night with temperatures falling to 2°C however days remain warm and sunny. 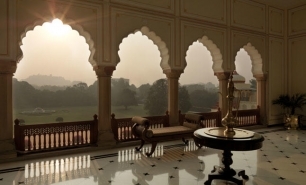 The monsoon season runs from May to September, when heavy rains predominate and temperatures that can rise above 35°C during the daytime, as well as hot and humid nights.